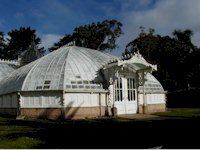 The Conservatory is San Francisco's first municipal greenhouse. 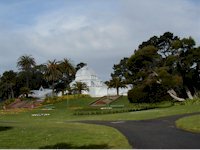 Contruction was completed in 1879 and it was donated to the city by local citizens. 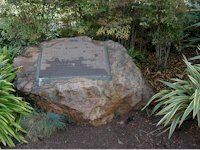 The official state marker plaque is located near the front entrance. The east side of the building, showing some of the Victorian details.